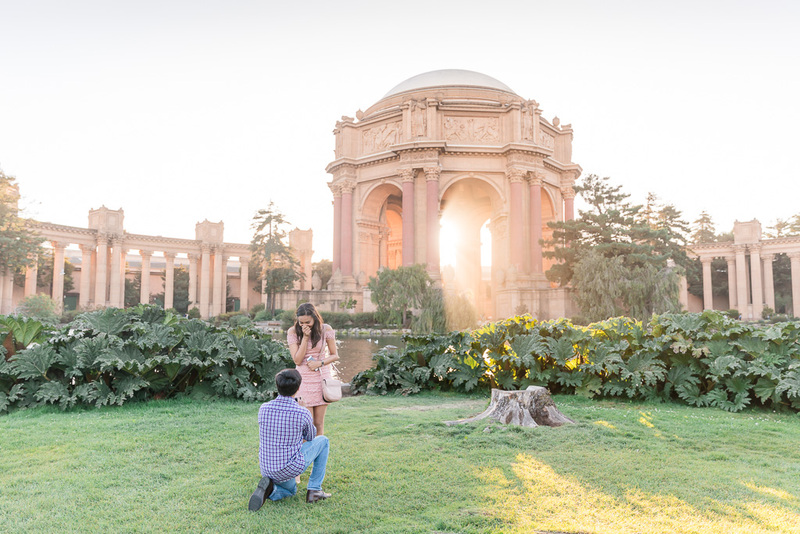 San Francisco has always been a popular spot for visitors, and our city is an increasingly popular spot for couples to get engaged. 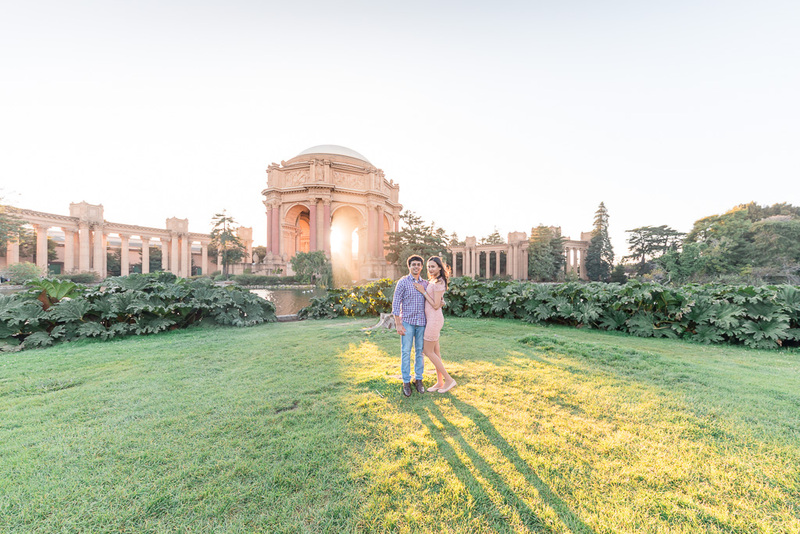 It’s easy to see why — with such beautiful spots like the Palace of Fine Arts, who wouldn’t be attracted to its beauty? 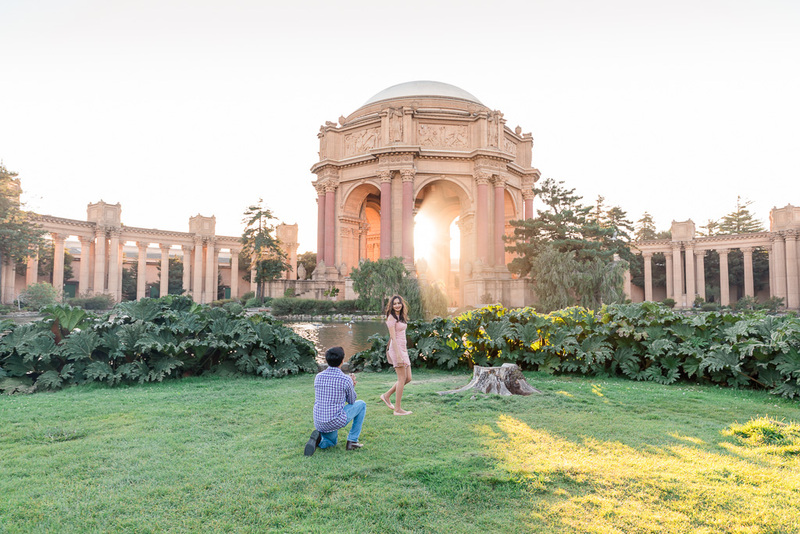 The star of today’s post, Sohan, came all the way from the east coast for his perfect San Francisco proposal. 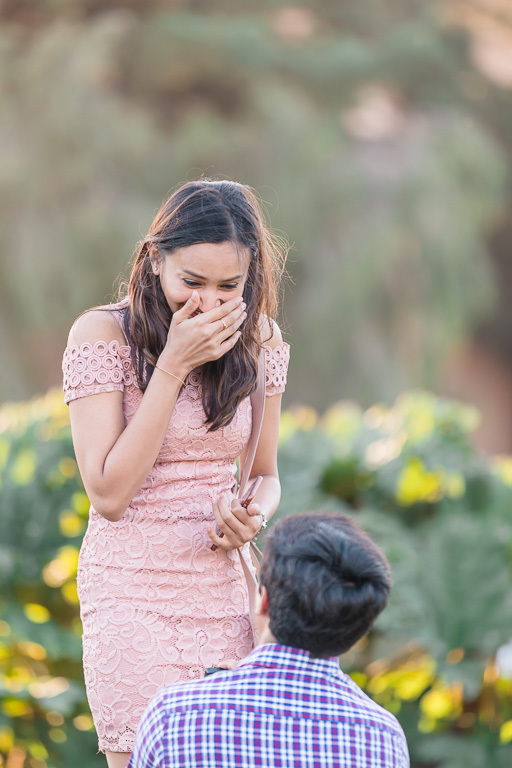 And I mean perfect! 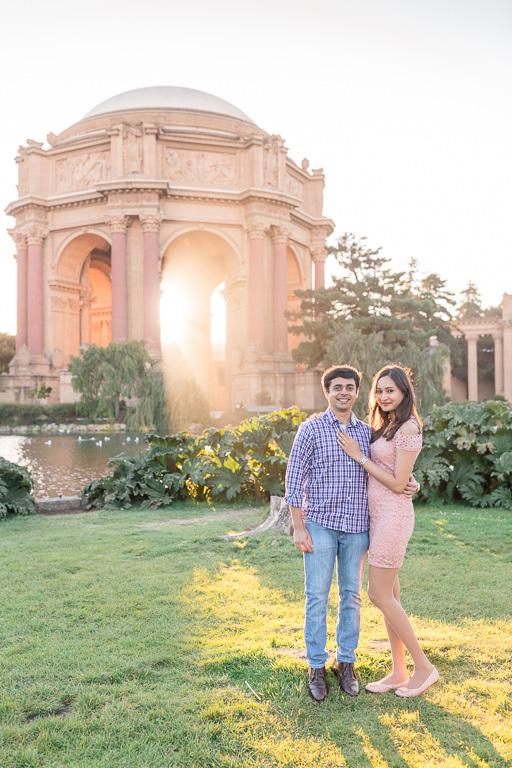 On a sunny September day, Sohan and Nandhini took a short stroll together around the Palace of Fine Arts theater. 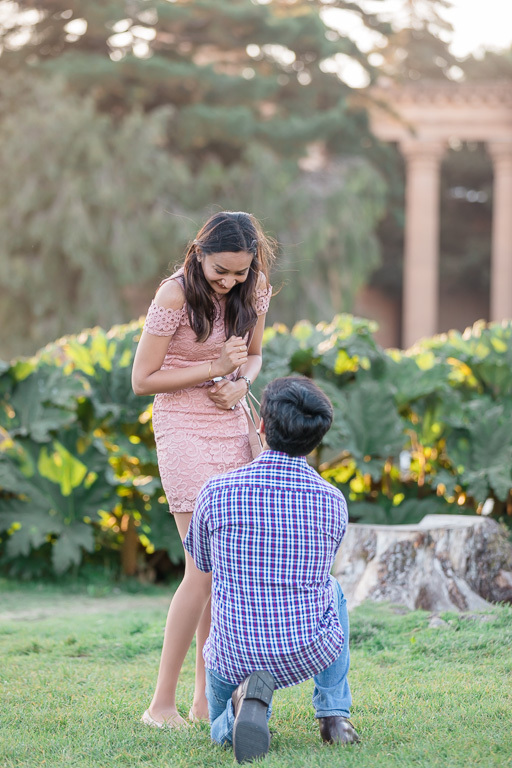 We had arranged the timing to be just right, so that when they arrived at the spot where he would propose, the sun would be directly behind the rotunda. 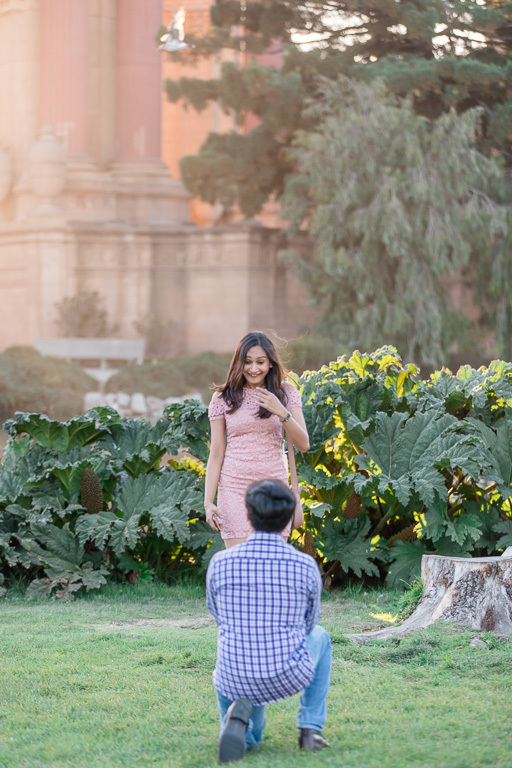 This allowed a beautiful, dreamy ray of warm summer sun to peek through the arches of the dome, and it played out exactly as planned, with Sohan popping the question in front of the perfect backdrop. 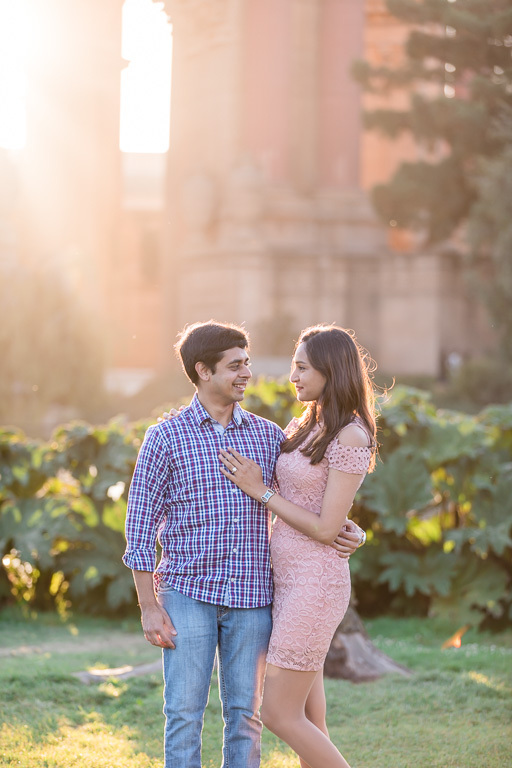 Congrats to Sohan & Nandhini, and take a look at their photos below!